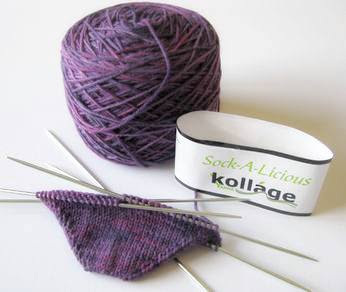 For the multicolored yarn, I’ve picked this really wonderful yarn called Sock-A-Licious by Kollage Yarns in the colorway Purple Heart (#7814). 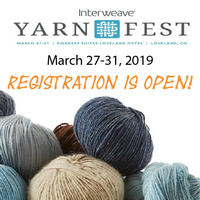 It’s a 70% fine superwash merino, 10% silk, and 20% nylon mix that really lives up to it’s name of Sock-A-Licious and with ample yardage too (354 yd/325m per 3.5 oz/100g). Since the original socks have been completed, I’ve run across a new nifty cast-on, especially well suited for toe-up socks. It’s a brain child of Judy Becker (as in Judy’s Magic Cast-on), as well as Queen Kahuna.